Since leaving school, Andre Chaperon worked in IT in London. But with many jobs like his getting outsourced to India, he started to see what else he could do to earn a living instead. However, in October 2003 his whole department was finally sacked and he was out of a job. But this forced him to make a positive change which he’d spent years only talking about. And the next day, he started working for himself. Since then, he’s worked full-time in his own business. He started off as an affiliate marketer, doing things differently from everyone else to really make his work stand out above the rest. And this is what gave him the experience in email marketing. Despite being dyslexic, he learned how to write emails that actually give you the results you’re looking for. What is it that makes an email stand out from the rest? Why is it people were engaging with his emails and ignoring the competition? It’s quite simple really. He understood his audience and then told them stories which really captured their imaginations. But most importantly, he actually had a purpose and never directly sold to them. 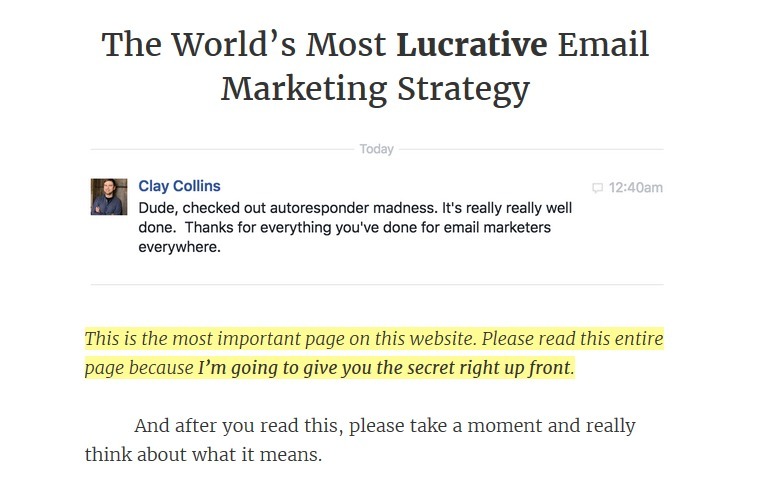 Find out exactly how you can learn to use these same tactics in your own email marketing. And also discover why Andre thinks email still has a strong future. It was reading Frank Kern’s work who helped him to realize that you could actually make money by selling information. And that opened up a whole new world of potential to him. And after a push in the right direction, he started out as an affiliate marketer. Andre found this gave him a good opportunity to cut his teeth in the marketing world because getting paid was dependent on him doing a good job. It’s a relatively easy job to get as all you need is a link to send people towards. But at the end of the day, you’re helping someone else to build their business and they could wake up one morning and end your relationship. Overall, you have a lot more leverage when it’s your own link. However, he found a way of leverage himself: He built himself lists for other people’s products. This is what made him different from everyone else attempting affiliate marketing. His lists consisted of people with a particular problem. He then found products to solve those problems and then married the two together. 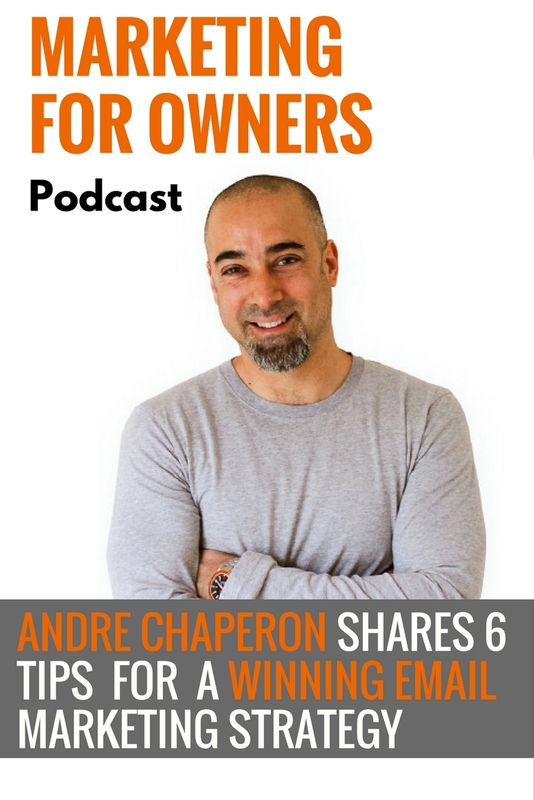 Andre created assets, such as websites, content, and lists, and attracted his ideal customers to the websites. He would develop a relationship with those people through his emails before sending the email which linked to the product which solved their woes. This added real value to his customers, and he treated them as people rather than numbers. He set things up as if it was his business. And although it was more work, that meant there were fewer people actually doing it. Most other affiliate marketers were using Google Ads to direct traffic to their affiliate links, so he had to find another way that made him stand out in the already-crowded marketplace. And as an introvert, the idea of producing video and audio didn’t appeal to him as possible routes for making money. Whereas, with email, he was able to talk to lots of people whilst being able to hide in the shadows. Although he’s dyslexic, and his emails were not very good at the start, people were responding to them. And as he carried on producing emails, he got better at them. And he got continuously better results. It seems obvious to many people, yet it’s often something which is overlooked or forgotten. However, it is important to deeply understand the audience. It’s very helpful to create avatars on who your ideal customers. Understand why people are coming to you, and what problems they all have in common. Knowing that allows you to say things which they care about, and which moves them to take action. That then makes the process of producing the emails easier, and far more effective. There are two ways which you can go about collecting this information. You can observe them, and you can talk to them. By doing both, you will get different insights, and perhaps learn things you would have never expected. You can see what people are saying on social media and on forums, then use that information to ask the right questions when you talk to them. Now you know what the people visiting your website are looking for, now is the time to actually attract their attention. Then you can get them onto your email list. Lead magnets are also good ways of getting people interested, in return for their email address. They’re a commonly used tactic, and when you have a clear idea of what the customer is after, you can use them effectively. However, Andre doesn’t use them himself. Instead, he prefers the power of copy. He likes to create value and solve their problems before asking his visitors for anything. And for him, it really works. Just like everything he seemingly does, it requires more effort and therefore it’s something fewer people are trying themselves. Lead magnets are great for getting people signed up and downloading your free eBook. But the problem they have is that if it’s not read, you never get to prove your worth. Sometimes people are just blinded by the word ‘free’, and then file it away on their hard drive, for it to never to see the light of a LED screen again. Also, it can mean they’ve lost interest by the time you start emailing and therefore never open or engage with them. However, it’s important to make sure you’re giving people the option which is right for them. So it may be a good idea to also find out what they’d like when trying to understand the avatar for your perfect customer. Also, you have to earn the attention and trust of your customers and potentials. And it’s not something that can be done quickly. And he finds that people are willing to go through his system. They enjoy reading his stories and trust what he has to say. Therefore, they’re happy and extremely valuable to Andre. Of course, by this point, you’re an expert at understanding what people on your list want most. And it’s now your job to guide them through the process. A great way of doing this is to tell them a story which goes through the journey with them. Just like your favorite soap opera or TV drama, every email needs to connect together. You need people hooked and looking forward to the next email that lands in their inbox. When you show that this product is perfect for them to move on, they’ll have no choice but to make the purchase. When Andre is emailing his lists, he prefers to not mention the product until at least a few emails down the line. But there is also nothing worse than waiting for someone to get to the point when you’re desperate either. That’s why he makes use of his P.S. section of emails by linking to the product. There’s no hard sell, it’s just there if they want a solution quickly. But throughout his emails, Andre never tries to sell anything. It’s pretty easy to see that having dyslexia hasn’t held him back at all when it comes to email marketing. But he has also never completed any copywriting training from start to finish. In fact, despite spending his time writing emails and other content, he doesn’t identify as a copywriter. And in Andre’s opinion, that’s what makes his emails work. And he feels that it is often the case that copywriters are not very good at writing emails. He’s good at writing stories because he’s spent years reading fiction; particularly the books of Lee Child. That has heavily influenced how he writes his emails. And he reads every day to keep that spark of inspiration alive. That creativity is what sets him apart. As a result of that creativity, he is now undertaking the challenge of writing his own fiction book, which is bound to be entertaining. However, if you want to learn a great deal more about how you can really make the most of your email marketing, you really should check out Andre’s AutoResponder Madness. He teaches a combination of website and email training. Over the following month, you’ll learn different parts of the puzzle, such as structuring and setting up the system, as well as how to get better at writing. You’ll soon be able to create your own email soap opera. And in case you’re wondering why you should continue focusing your efforts on email marketing instead of social media, you should know one thing: Andre does no social media whatsoever. And look at what he’s achieved.